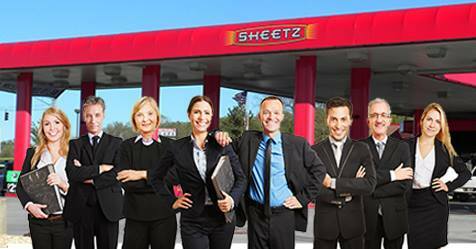 POWHATAN, Va. — After a lengthy review calculating the pros and cons of numerous prospective options, the Powhatan County Board of Supervisors announced today that they will now be holding their monthly meeting at the Sheetz gas station on Anderson Highway. The Board, which is comprised of all eight citizens who actually reside in Powhatan County, has been holding their monthly town hall meetings at the Wawa gas station on Midlothian Turnpike in Chesterfield for the past two years. However, upon discovering that the Wawa was, in fact, not in Powhatan, the decision was made to change venues. The Board plans to reconvene next month to discuss some of the county’s most pressing issues, including where to plant a single evergreen tree in Fighting Creek Park and the rumored uneven parking spaces at the nearby Walmart.